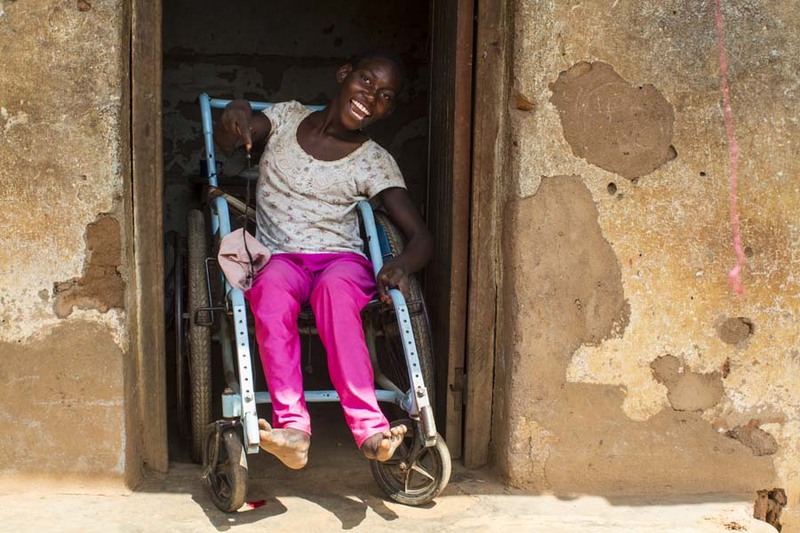 Power wheelchairs are unfortunately almost non-existent in Cameroon. 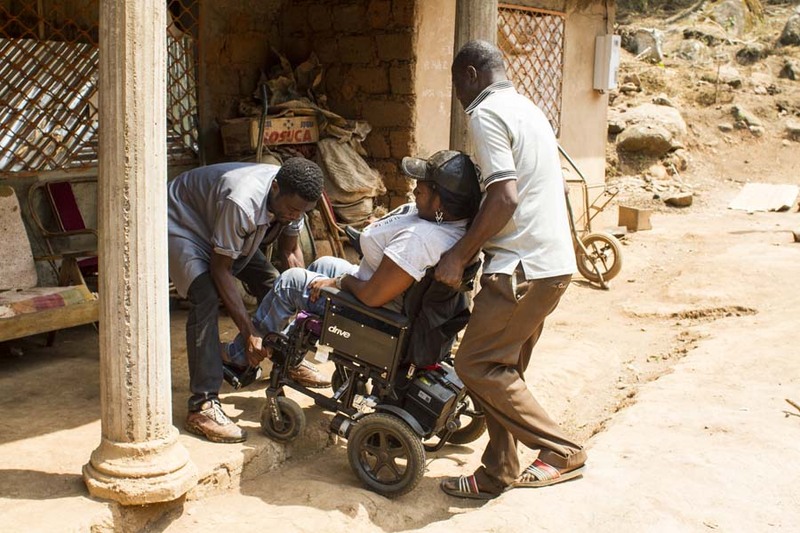 However, Hilda Bih, a Cameroonian radio journalist based in Bamenda who who has muscular dystrophy, is fortunate to have a power wheelchair because she traveled to the US a year ago for the first time for Mandela Washington Fellowship and had the opportunity to purchase a power wheelchair and bring it back to Cameroon. While the power wheelchair gives her independence to travel, many places are still inaccessible. This 25 year-old man was in an accident two years ago. He was in a taxi with five other people and he was the only one who became injured. The taxi rolled over many times. 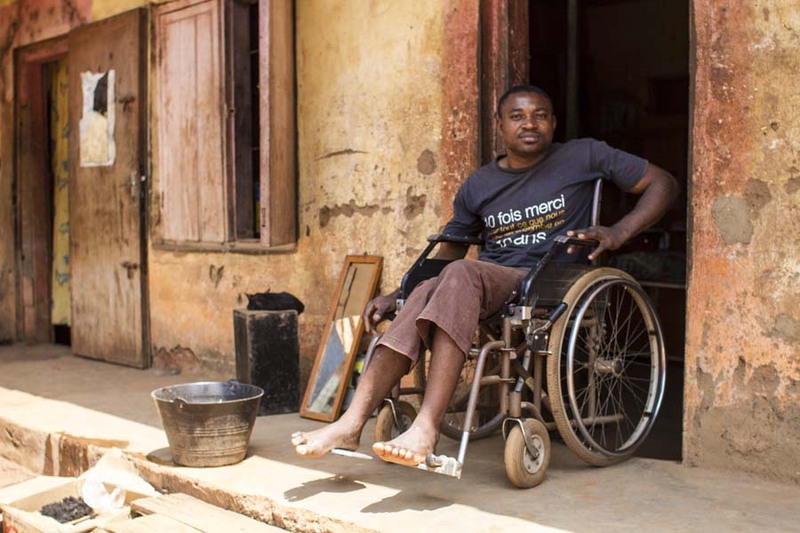 He became paralyzed and has never left home since then. He was still in secondary school at the time of the accident and had to drop out. He has rarely left his bed except to sit on a chair located next to his bed from time to time and to go to the bathroom. He still suffers pain in the spine and dizziness. I asked him why he doesn’t have any devices to help him move. He said that using a wheelchair is too difficult and crutches are not possible at all. He said that he did go to a hospital when he had the accident but likely didn’t receive proper care. 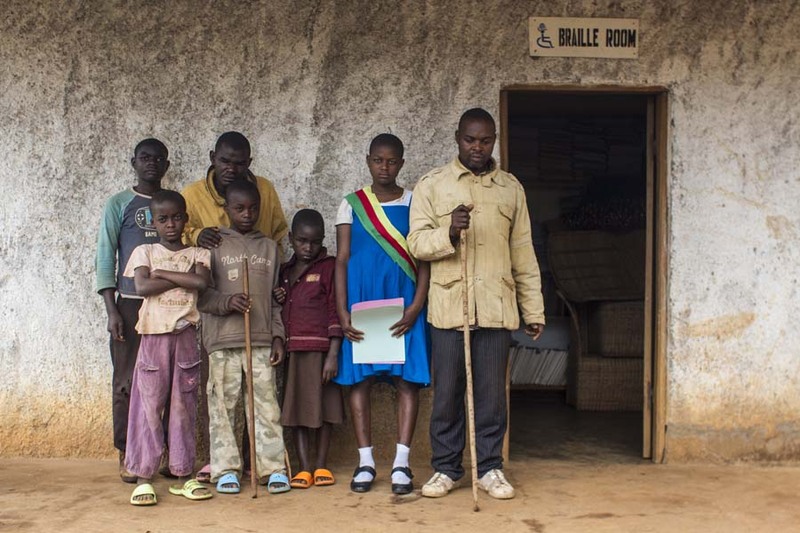 One of the most common problems I frequently encountered in Cameroon is that many blind people use a walking stick instead of a white cane. When I visited a blind school in a village, I found that all blind people who had a device had a wooden walking stick. The blind teacher said that while the wooden walking stick did help them navigate, they still faced dangers because people would mistake them for people with mobility disability. So, drivers will sometimes drive by them and nearly hit them as the drivers don’t realize they can’t see to move out of their way. 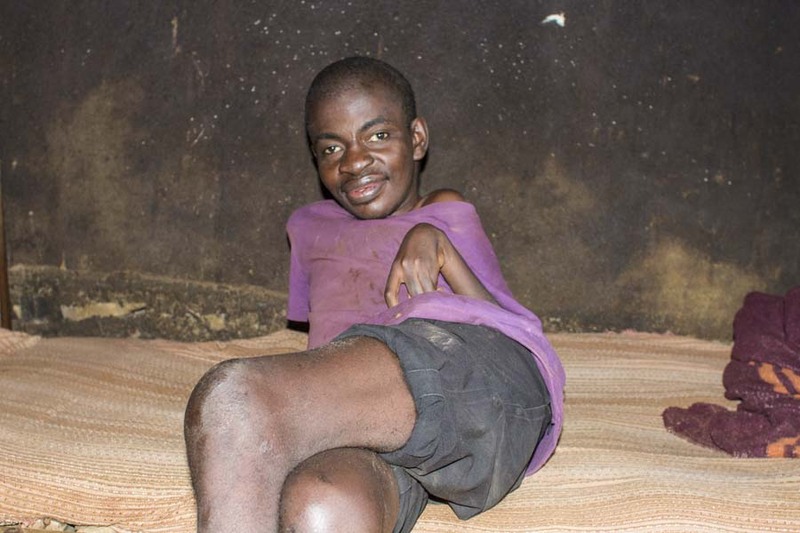 This 40 year-old man became disabled at the age of one year old from quinniamax injection. 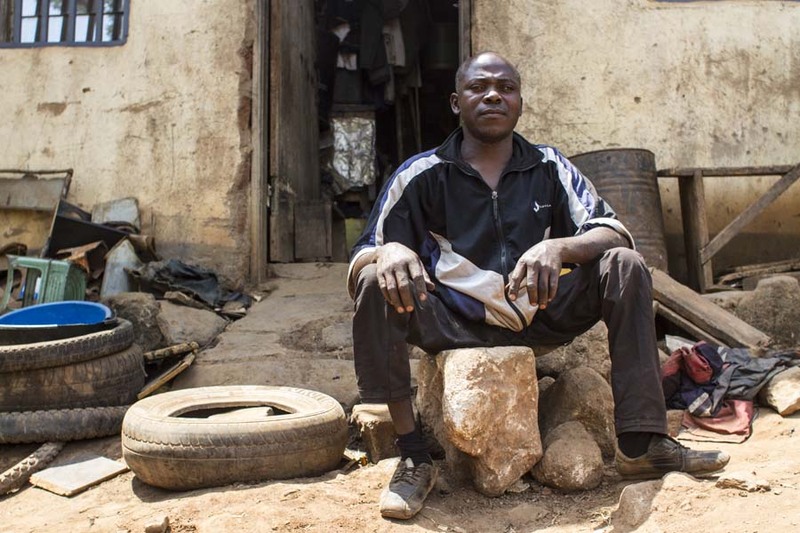 He has a tricycle but it is broken at the moment and has no money to repair it. Therefore, he is crawling now. He spends most of his days in a small little room repairing shoes. If he needs to get to a place, he will try to catch a motorcycle and pay him to take him to places. This man has never attended school not only because he had no money but also because it was too difficult for him to commute to school. Like many other persons with mobility disability, he pays someone to bring water to him. This 35 year old man became disabled when he was 21 years old from an injury. His spine became dislocated when he lifted heavy objects. He believes that he would not have been disabled as he is today if he had better quality of health care. The doctors did not identify his injury quickly enough to repair his spine to the point that he could maybe walk again. He spends most of his days in his shop which is clearly also his home as his bed was in the shop too. He sends neighbors to get water and sometimes pays them. This 28 year old man lives with his sister and stays in his room on his bed all day long. He has never attended school. He suffers from seizures on regular basis and in fact, he had an episode while I was there. 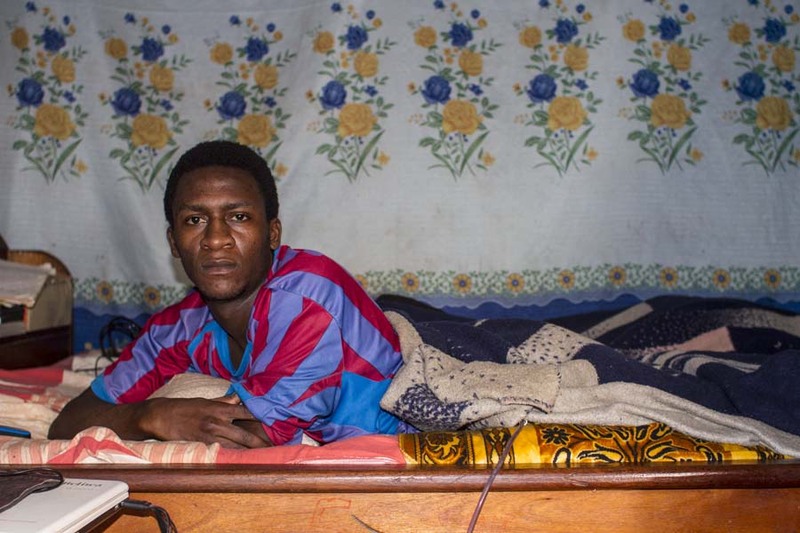 According to his sister, he has epilepsy, intellectual disability and mobility disability. He doesn’t speak. His seizures were first identified when he was 8 months-old. He was once able to walk but stopped being able to walk when he was 3 years-old. His sister believes that his seizures made him become more disabled over the years When I asked his sister why he doesn’t have any devices to allow him to move, she said that she would love to get him a wheelchair but does not know where to find one. This 16 year-old girl has never once attended school only because the grandmother believes that the school cannot support her and that she cannot learn. She has cerebral palsy and cannot speak at all. When I asked her grandmother who cares for the girl what are the biggest challenges that she faces and she said that handling her monthly menstruation. 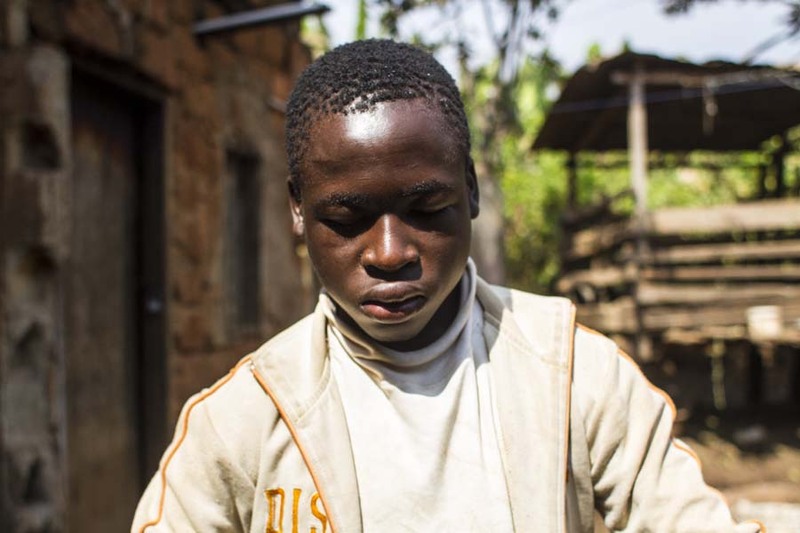 This 17 year-old boy became deaf and blind when he was a very little child from unknown reasons. The mother said that he had discharges coming out of his eyes just before he became deaf and blind. He has never once attended school. He has zero language. He knows only a few tactile signs created by his mother. He stays home all day even though the mother said her biggest frustration is helping him use his energy and keep him moving. She also said that she struggles to help him manage his anger.